In Chicago Boys, the story of Chilean economists who studied in America and then remade their country. They embraced free-market economics in America. Then Chile’s dictator let them transform an entire society. “Chile was not a jewel in 1995, but it’s a jewel today,” the economist Arnold Harberger says in the documentary Chicago Boys. Harberger, an American economist who taught at the University of Chicago from 1953 to 1991 alongside Milton Friedman, was a father figure to the “boys”—a group of Chilean economists who studied at the university in the 1950s. There, they became enthusiastic converts to Friedman’s free-market economic philosophies, which they were then given free rein to implement on an unprecedented scale during Augusto Pinochet’s dictatorship of Chile. The ideas they brought home from Chicago changed Chilean society forever and made it one of the richest countries in Latin America. The movie, which opened in Chile in November and was directed by Fuentes along with filmmaker Rafael Valdeavellano, explains how Chile ended up implementing the most extreme version of Friedman’s doctrines, while arguing that Chile’s audacious economic experiment was in many ways a field test for the ideas later put into practice by sympathetic leaders like Ronald Reagan and Margaret Thatcher. The film recounts how in 1956 the University of Chicago and Santiago’s Universidad Católica—with the help of Ford Foundation—signed an exchange agreement to send young economics students to the United States to learn more about “monetarism,” the theory that governments should refrain from regulating the market, whenever possible, with the exception of managing the money supply. The idea, radical in the United States for years following the New Deal, was developed by Friedman in the 1940s and under his leadership of Chicago’s economics department became the intellectual center of free-market economics in America. “This exchange was part of the State Department’s investment plan to expand their influence in Latin America, in a moment when they were concerned about the growth of Soviet ideas in the region. It is clear evidence of America’s foreign-policy influence in Chile,” Fuentes told me. Around 25 Chilean students came to Chicago between 1956 and 1961. Some of them bought video cameras, an unimaginable purchase in Chile in those years, and recorded their time in Chicago, footage that is used in the film. They filmed their parties, their study sessions, and their walks around the campus. They recorded their everyday lives as normal students, long before they became the economic leaders of Chile’s military government. 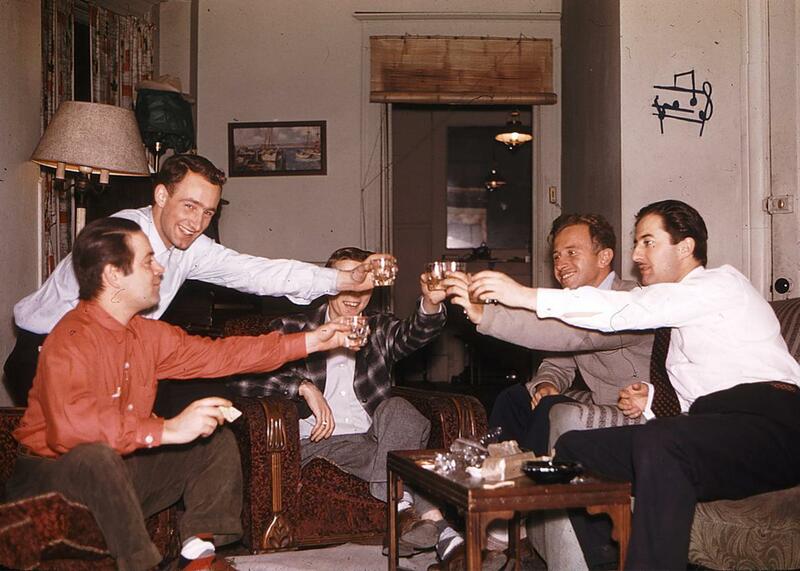 Back in Chile, the Chicago Boys hoped to implement some of what they had learned in America. So they started to build an economic program, which they presented to the presidential candidate Jorge Alessandri, who lost to the Socialist Salvador Allende in 1970. During Allende’s rule, the Chicago Boys continued working on their economic project, which was finally named el ladrillo—the brick, because it was so big. Chicago alum Sergio de Castro authored their final recommendation, which they delivered to Navy Admiral José Toribio Merino. Merino would be part of the junta that overthrew Allende in a CIA-backed coup in 1973, installing Gen. Augusto Pinochet as the new head of state. De Castro became the economic minister and later the treasury minister. The other Chicago Boys also joined the military government, occupying Cabinet positions during the 17 years of dictatorship. But while it came under heavy human rights criticism, Chile was the first country to apply Friedman’s economic principles, and, years later, the famous economist called this process, lead by his disciples, “the Miracle of Chile.” Friedman himself visited Chile and met with Pinochet in 1975, where he praised the economic measures taken by the Chicago Boys and Pinochet’s government. The connection with the dictator has been one of the most controversial aspects of Friedman’s legacy in the United States. Pinochet stepped down in 1990 after his government was overwhelming rejected by the Chilean people in a constitutional referendum. But in the years since, the economic system implemented by the Chicago Boys has mostly remained in place. Democratic governments after Pinochet have maintained their politics mostly intact and only in recent years, particularly during Socialist Party President Michelle Bachelet’s second term, have some steps been taken to reform labor rights, pensions, and the health and education systems, as well as implement for financial regulations. These change have met major resistance from conservative groups. Nowadays, many Chileans believe that the dictatorship primarily made the people close to it very rich, at the cost of the rest of the population. That rage boiled over into the recent protests. Chicago Boys won best direction in the International Film Festival of Santiago before opening in Chilean theaters on Nov. 5. (In two-and-a-half months, it became the second-most-viewed documentary in the country last year.) The production is now looking to distribute the film in the United States—the country where Chile’s “miracle” was born. CHICAGO BOYS - TRAILER (ENG) from La Ventana Cine on Vimeo.